I remember eating something similar (although it was dressed with Basil which was a nice touch) as a starter in a ‘posh’ restaurant in East London (or Docklands as anyone who’d bought property there called the area!) and wondering to myself how they could charge £8.95 for what is, basically, raw tomato, cucumber and garlic – not even cooked! It didn’t half taste nice though! Sometimes (usually?) the simplest things are best. You can buy a new recipe book for two quid less! 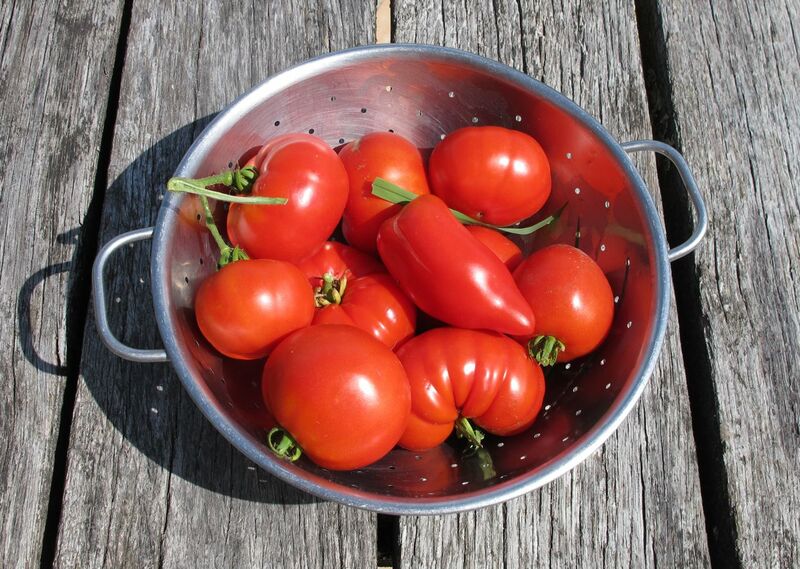 Robin what lovely fresh looking toms – do you grow all your own salad and vegetables? 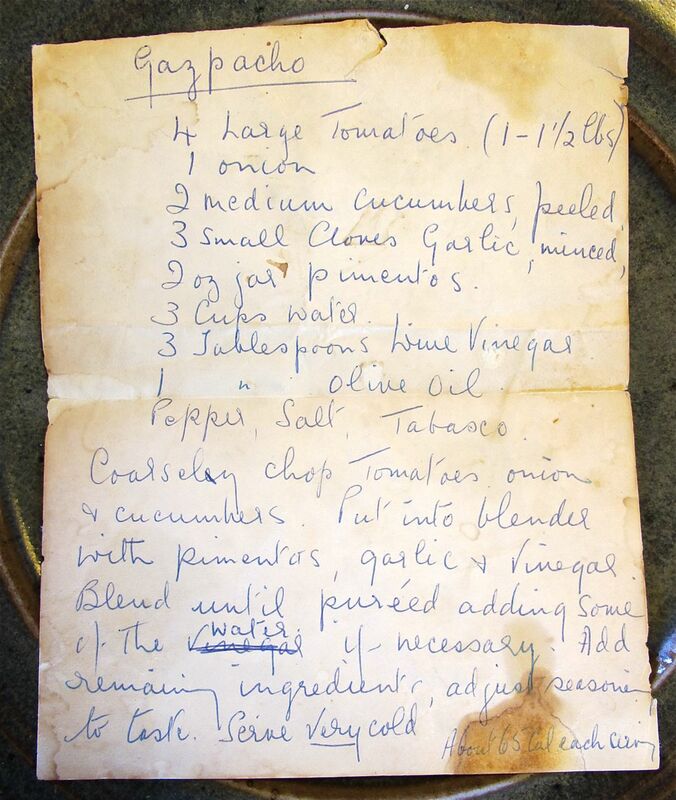 Your mum must have been an adventurous cook to try this. 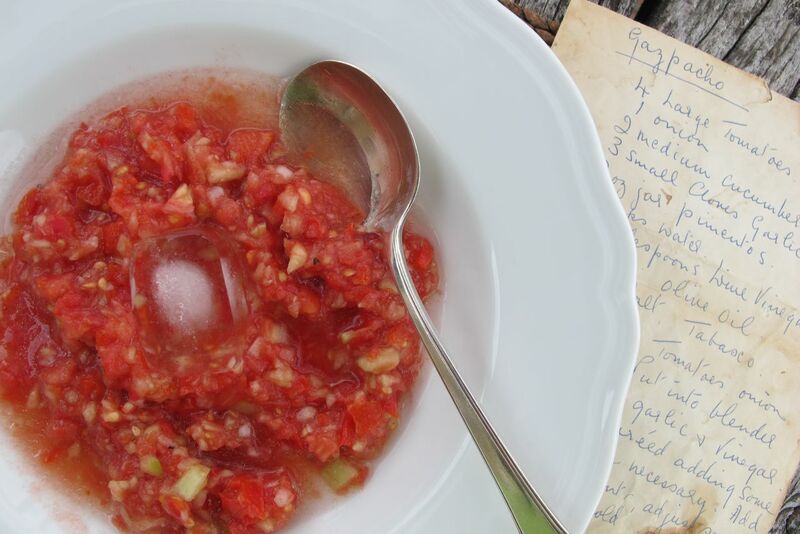 It is very hot here in the Washington, D.C. area, (102 degrees f) yesterday, and I am trying the gazpacho today on 3 guests! Thanks for bringing your mother’s cooking to life! Hi Genie–we have two Washingtonians staying who are happy to be missing the cauldron! I tried (and succeded) with your wonderful gazpacho recipe last night. It’s one of my husband’s favourites and he always orders it when he’s in Spain. He’s the proper cook in our family, so I was delighted when the whole batch went in one sitting. It was really straightforward and quick to make and tasted delicious. Thanks! I’m so glad-Ma would have been pleased!